Hi all, on Photoshop, if I hit Ctrl+Del it will fill the whole canvas with the foreground color, Alt+del fills with the bg color. This is a feature I used all the time but now flood filling with a color is a relatively time consuming effort. 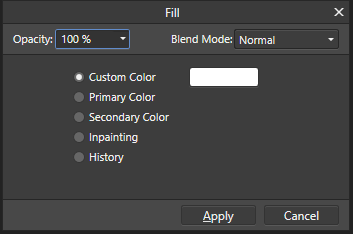 The reason I use it is that I create an adjustment layer that I want to affect only a small area so then I have to check that my swatches are correctly set, get the fill tool and fill it with black. Am I missing something or is this just a feature I need to be requesting? But this probably isn't what you actually want to do! Instead, either apply the adjustment and then invert the adjustment (Ctrl+i) which actually inverts the adjustment's inbuild mask layer to black. Or adjust your workflow, and create a selection before you add the adjustment. This automatically creates a mask and applies it to the adjustment. The mask can be edited in all the usual ways (such as Refine Mask, Paint Brush, Eraser). Unless I'm doing something wrong that seems to take a lot longer. My workflow tends to go along the lines of – choose a curves adjustment layer, adjust it, flood the adjustment layer mask with black to make it all disappear and then paint in the areas that I want to be lighter or darker with white. When I hit shift and F5 it comes up with the fill dialogue box but it's always set to white so then I have to go and change that. Am I doing something wrong? Actually the dialog box "remembers" the last settings you've selected. You can also preview the results of your fill operation before applying it if you alt-click the mask to see it in the canvas (when filling the mask). So just select your mask, hit shift+f5, select a color and click apply (if you need black and your last fill was black, it already remembers just hit apply). 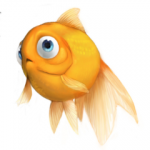 While not applicable to your specific need you've described, "Fill" is also more flexible, you have the ability to change the fill opacity, blending mode and also not fill with a color but also fill with inpainting as in content aware fill in ps. Ah, that's interesting. I also discovered that, if I create my curves adjustment layer then select all and hit Delete that works too. If I don't select all it deletes the adjustment layer. Yup, if you don't need pixel precision you can also use the quick mask mode. My workflow tends to go along the lines of – choose a curves adjustment layer, adjust it, flood the adjustment layer mask with black to make it all disappear and then paint in the areas that I want to be lighter or darker with white. @Phil_rose Your current workflow is exactly what I described above, and has fewer steps than you are used to in PS! Create curves adjustment & modify to your liking. Hit Ctrl+i to invert the mask. Paint with white onto the mask. In Affinity all adjustments are created with their own mask layer so you do not need to create a separate mask, or fill layer. The mask is by default fully white, so hitting invert will flip it to black, leaving you able to paint in the adjustment to your heart's content. Oh my god! Will that work?? I am at work but will try that when I get home. I will be so grateful if it does! It works. Thanks so much! That's just great.